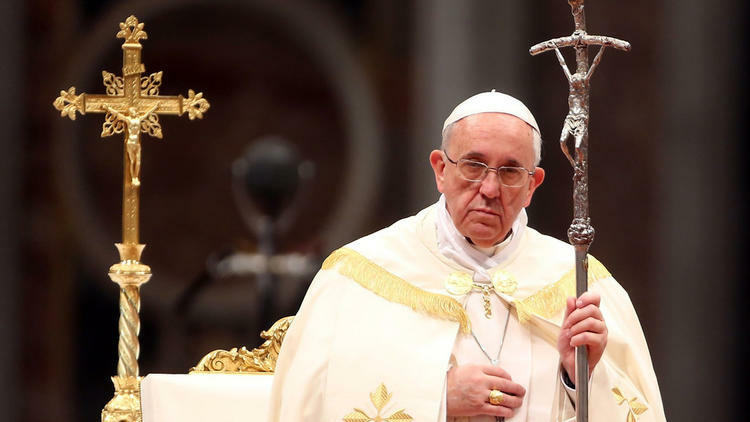 Pope Francis on Saturday forthrightly reminded Big Oil that climate change is a moral issue. The Pontiff quoted his Encyclical, Laudato Si, to representatives of ExxonMobil, Total, BP and many others, saying, “There is no time to lose: We received the earth as a garden-home from the Creator; let us not pass it on to future generations as a wilderness”. Unlike President Trump, the Vatican has a whole bevy of science advisers. What a comedown for Americans proud of our First Amendment and republican spirit, that the Vatican is now demonstrably more progressive than is the United State of America. Pope Francis admitted that the some one billion persons in the world lacking electricity need to be supplied with reliable power, but he insisted that this vast expansion of energy generation take place via green energy sources. The pope lamented that carbon dioxide emissions remain very high despite the signing of the Paris Accords in December, 2015. Featured Photo: Long Thiên, Flickr.